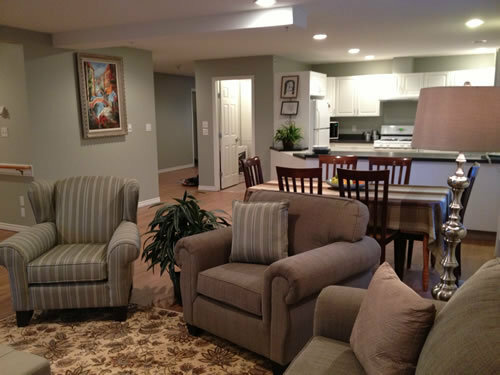 We are a group-living community offering a comfortable and clean atmosphere to serve single residents ages 55+. Renovated in 2013, Arbor Lodge Retirement Living emits a warm and modern decor without the institutional feeling of typical nursing homes and care facilities. Arbor Lodge has always been known for its warm welcome feeling, with the smell of something good cooking for supper. Just like home. The kitchen is the heart of any house, and Arbor Lodge is no exception. Home cooked meals are prepared fresh daily from scratch by our kitchen team under the watchful direction of our Red Seal Chef and kitchen manager. Our six-week rotating menu supports seasonal fresh ingredients and produce. We bake fresh our morning muffins, desserts and items for the snack basket and we shop locally. Our activity calendar varies monthly, but favorites like bingo, crafts and trips to the nearby 5th Avenue Seniors Activity Centre are a weekly occurrence. Seated exercise class is held twice weekly and lead by a qualified personal trainer. We play games like UNO and Scrabble, we do manicures and brain gym… we keep busy! The suites are cozy and unique to each person. Our residents are encouraged to hang pictures and make their space familiar and homelike. Every room has windows with blinds and self-controlled electric baseboard heat. Every room has an ensuite equipped with grab bars and the in-house emergency call bell system. Laundry machines are complimentary and shower rooms are clean, inviting and safe. Arbor Lodge focuses on meeting the needs of residents so their families can rest at ease. Our mandate is to put hospitality into congregate living. The team at Arbor Lodge are happy to support the people who live here. 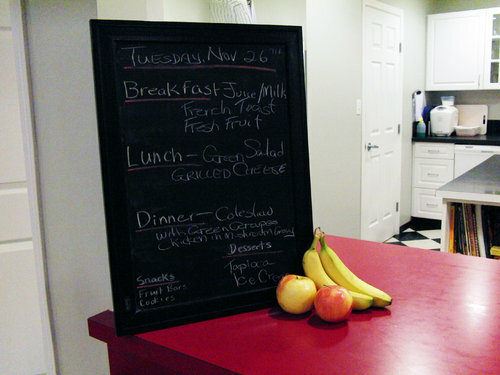 Residents are invited to three meals each day, with snacks and self-serve hot and cold drinks thru the day. Housekeeping is done on a weekly basis, with linens changed, suite vacuumed and bathroom sparkling clean! The building is secured and alarmed thru the night, with a 24-hour on-site attendant. 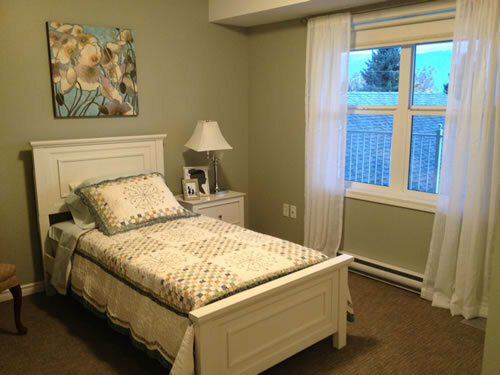 Located in a quiet residential area in South East Salmon Arm, well away from the traffic of the Trans-Canada Highway, our residents enjoy a restful night’s sleep—peaceful and safe. 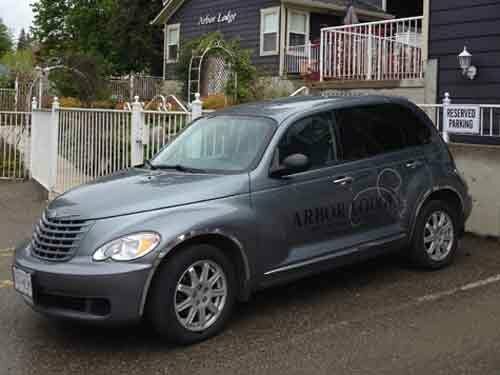 Arbor Lodge is privately owned and a Government of BC registered and approved facility. We offer services to those who are still mostly independent but require some support. 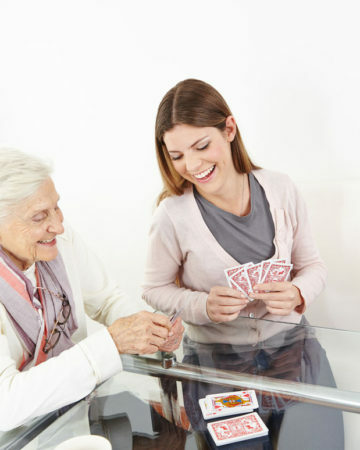 We believe in a client-centered approach to serve and promote the health and happiness of each resident. Utilities which include Heat, Water, Hydro and Gas. The small city of Salmon Arm boasts a relaxed and friendly environment with a small-town feel. The views at Arbor Lodge take in the beauty of Shuswap Lake and the surrounding hillsides and mountains. This Senior-friendly city provides a variety of supports. From the Interior Health Authority with their years of experience and the Shuswap Lake Hospital to the Senior’s Resource Centre and the Senior’s Activity Centre. No need to travel to the larger centers, Salmon Arm has all the amenities: pharmacies, medical supply stores, massage therapists, physiotherapists, hearing specialists and more. Getting around is easy with the help of the city bus, the handi-dart bus, local taxi or Salmon Arm’s many volunteers. Salmon Arm is a wonderful place to call home!